Carowinds is the place where, for 40 years, the Carolinas come together. Quite literally so. For their 2015 season, Carowinds is continuing with a $50 million dollar investment that will change the face of the park. 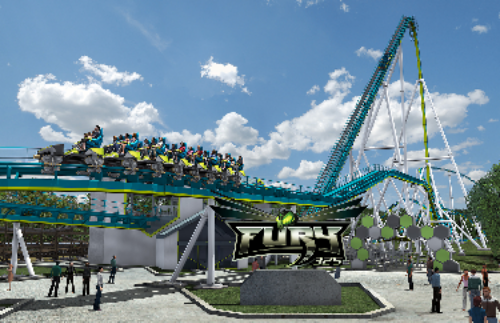 Fury 325 will be a big part of that change, and will be a record breaking new coaster that delivers the family thrills Carowinds is known for. The all new coaster by manufacturer Bollinger and Mabilllard is a first for the company. 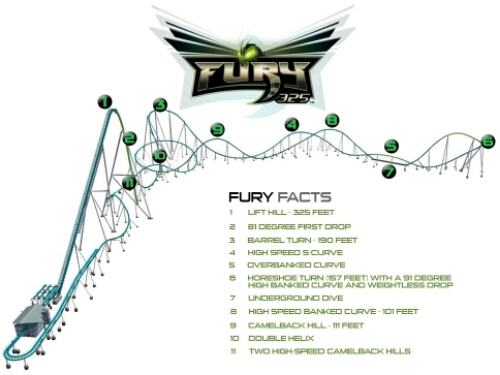 The new Giga-Coaster will be 325 feet tall, with a first drop that will be a steep 81 degrees. The coaster will also feature an underground tunnel that will dive under an all new entrance walkway. 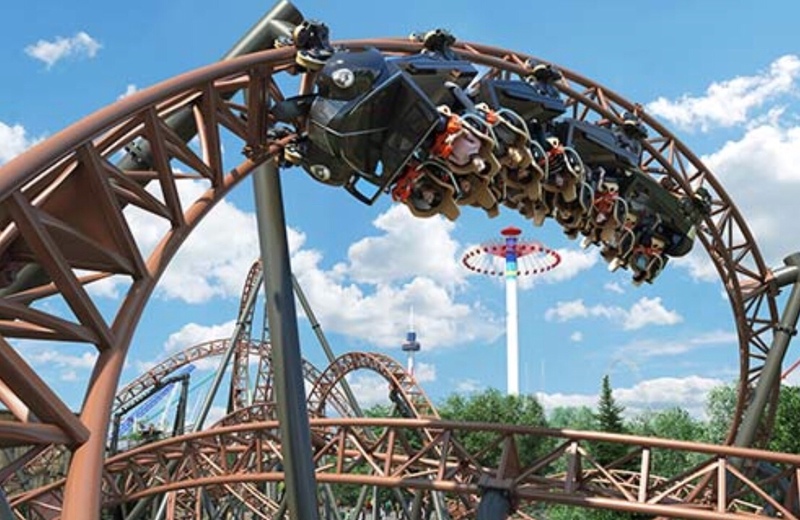 The ride will clock in with a ride time of over three minutes, and will take riders to speeds of 95 mph on 6,602 feet of track. The coaster will be the centerpiece of a complete overhaul of the park that will bring more of the culture of the Carolinas to the park. All new rides, and food will be added to the park to bring the heritage and history of the area of the park. The park entry will also be revamped into a huge new plaza that will include an all new ticket and passholder processing center. 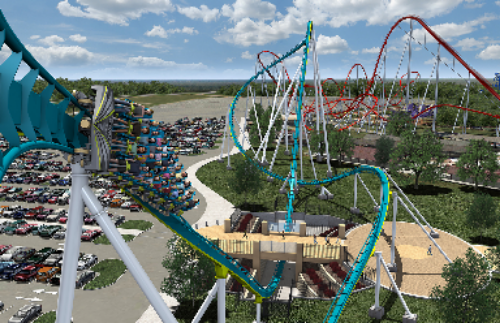 With the addition of Fury 325, and the complete revamping of the park, it appears that Carowinds has found it’s own voice in the amusement industry. Most parks in huge chains give very little to offer their local residents that they can’t find at another park. Carowinds and Cedar Fair looks as if they changing that image completely by letting Carowinds be true to it’s original roots. 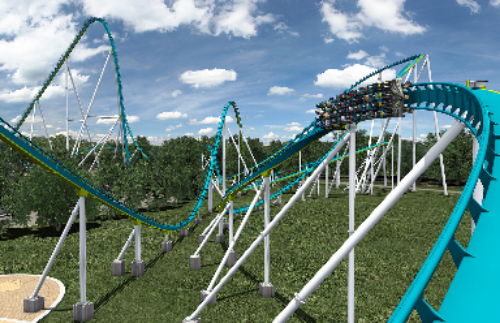 The all new coaster will be visible from Charlotte, and will change the park’s skyline significantly. The park received teal and green track earlier this week, and construction is on schedule to be completed in Spring of 2015. Stay tuned for more from Carowinds, and be sure to get social with us on Facebook and follow along with us on Twitter @BehindThrills for the latest updates! Previous PostConstruction begins on Busch Gardens Williamsburg's new 2015 attraction Next PostKings Dominion to extend Waterworks for 2015 season!